Hobbys in South West England is a perfect choice for a great holiday or a fun short break in Cornwall. Find out more about Hobbys below. A spacious split level cottage, originally a granary, entered from the corner of the landscaped courtyard where there is a parking space adjacent to the property. The porch opens into an attractive beamed dining room separated by open studwork from a newly fitted kitchen. To one side, there is a recently upgraded bathroom / W.C. with hand basin, a shower over the bath and a heated towel rail. A short flight of steps leads up to a half landing where there are three bedrooms which have a double bed, twin beds and 3ft pine bunk beds respectively. A few steps further up is a pleasant gallery / sitting room with beams open to the apex of the roof and some exposed stonework. Two or three slate steps lead down to French windows and continue down to a grassy fenced garden with views over the farmland to the sea, and a gate which gives access to the pathway leading to the paddock. Please note: Towels are not available. Hobbys is family friendly self catering. We have the following details listed regarding Hobbys accommodation accessibility but we would recommend that you always confirm these prior to booking with the owner or operator. Hobbys is a great base to explore the wonders of Cornwall and you will find plenty of activities near by. Hobbys is at Trenale, Cornwall. Check out the map below for directions, use the controls to zoom in. "As always a great stay at Trenale Court, where all the properties are of an excellent standard, lovely..."
"After a seven hour trip, tired, we were warmly welcomed. A lovely cottage with everything you could..."
"Excellent, well equipped dog friendly cottage and surroundings e.g. the paddock. The owners hospitality..."
"We've had a fantastic holiday in Trenale Court, Tintagel. We hope we'll come again!" If you have stayed at Hobbys why not add your thoughts, comments, pictures to our Facebook page? Don't forget to add the name/town/page link to your comment so its attributed to the correct place. Please keep it polite, we are sensitive souls! Find Cottage Holidays works closely with independent cottage owners and leading holiday travel operators to provide you the widest choice of self catering accommodation across England. 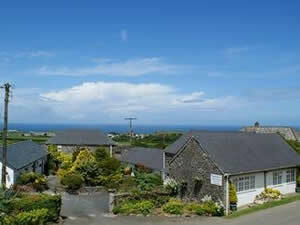 Hobbys in Cornwall is available through: Cornish Cottages.